The Local Food Ambassador program kicked off at LaPerche today! 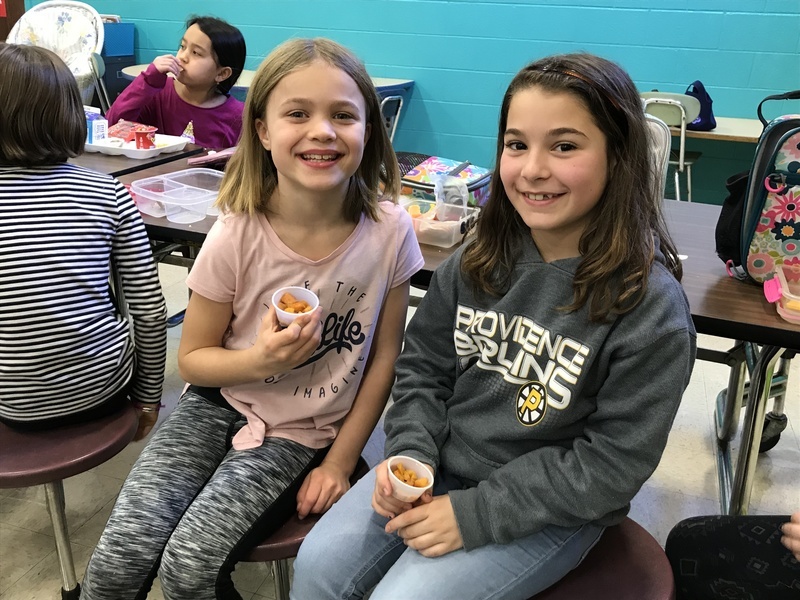 Rose Serra from Farm Fresh RI and Karin Wetherill from RI Healthy School Coalition joined us at LaPerche for our first taste testing! 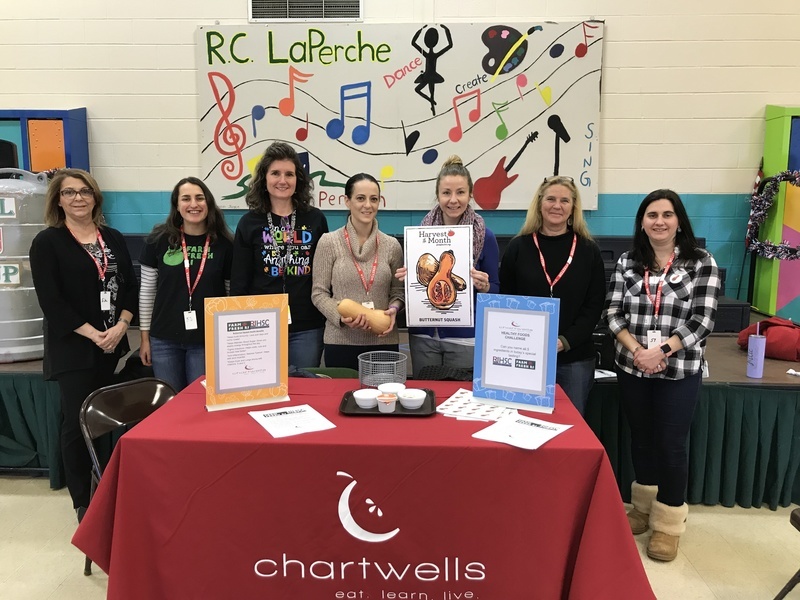 Farm Fresh RI worked with Shana and Cheryl from Chartwells, our food service provider, to choose a delicious and healthy food to taste. Additionally, parents from other elementary schools joined us so they can bring the program back to their schools. ....give students the opportunity to try nutritious foods, maybe for the first time! ....encourage young people to enjoy fruits and vegetables from an early age. ...create fun and memorable experiences and positive food environments. ....help build community among food service providers, families, school staff, and the students! 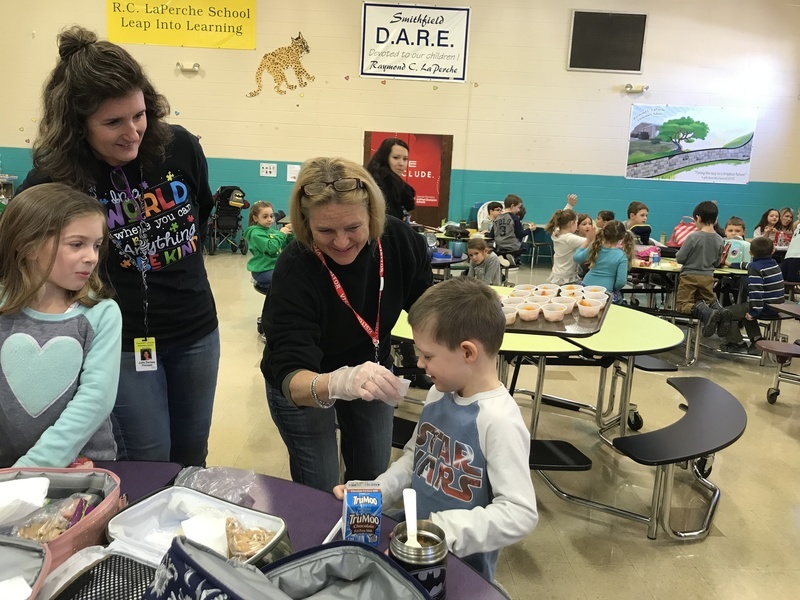 Instead of telling the students what they were tasting, Mrs. Dorsey challenged the students to uncover the five ingredients Chartwells used to create the treat. The students were certainly up to the challenge and engaged all of their senses. Many smelled the food first before trying it and then found out they wanted seconds! 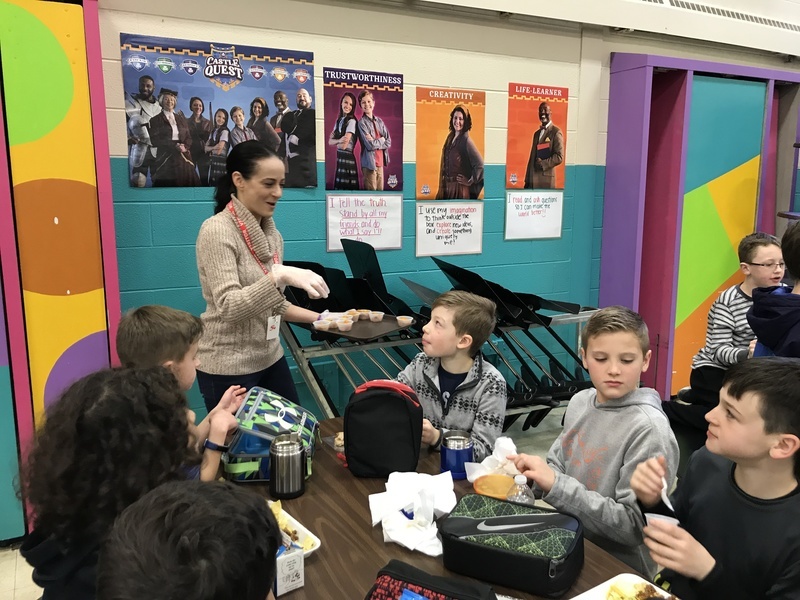 Towards the the end of lunch, Mrs. Dorsey asked the students what ingredients they thought were in the food. The students were thoughtful in their responses suggesting apples, carrots, vinegar, potatoes, pepper, sugar, butter, and many more! In the end they were able to come up with the 5; butternut squash, cinnamon, brown sugar, orange juice and vegetable oil. Over 200 samples were handed out to the students and in the end many gave it a thumbs up! Students were very motivated to make the recipe at home. If you decide to make it at home with your family, please send us a picture to share! The kindergarten friends discuss possible ingredients. One first grader gives her friend a sniff while another closes her eyes to use her other senses. The girls are ready to give it a try! 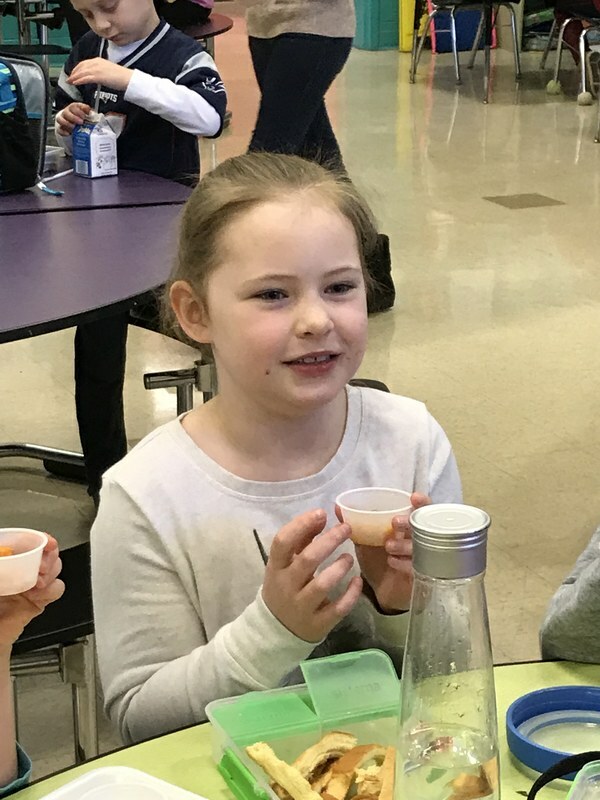 One second grader had two cups and loved it! Yes, please! I would love another bite! LaPerche grandmother, Shannon Conti, asks, Who wants to try the mystery food? All the fifth grade girls say YES! What an adventurous bunch! The third grade girls are all smiles as they get ready to give it a try! 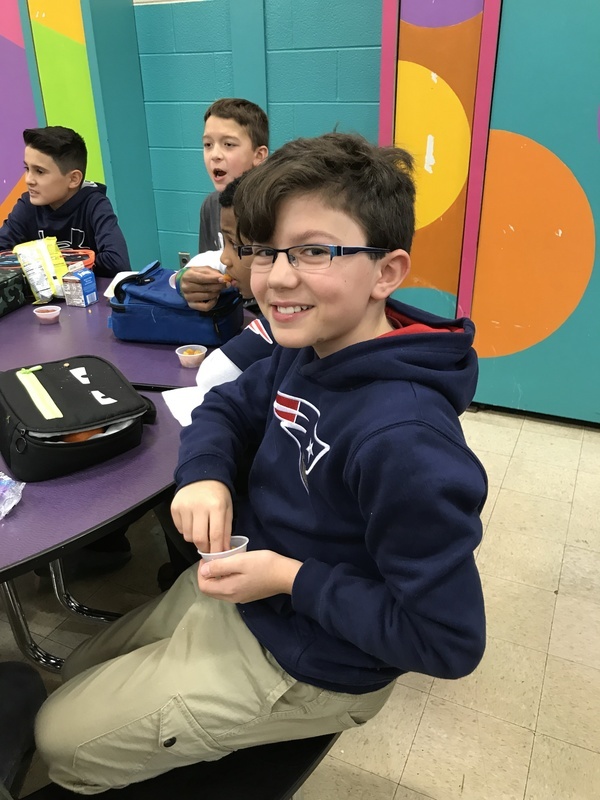 This fifth grade boy was willing to give it a try! Some third graders are unsure at first but willing to have a taste. Rose from Farm Fresh RI spends some time talking with the third graders. This fifth grade friend was willing to try and found out she liked it! A whole table of fourth grade boys who are up for the challenge! 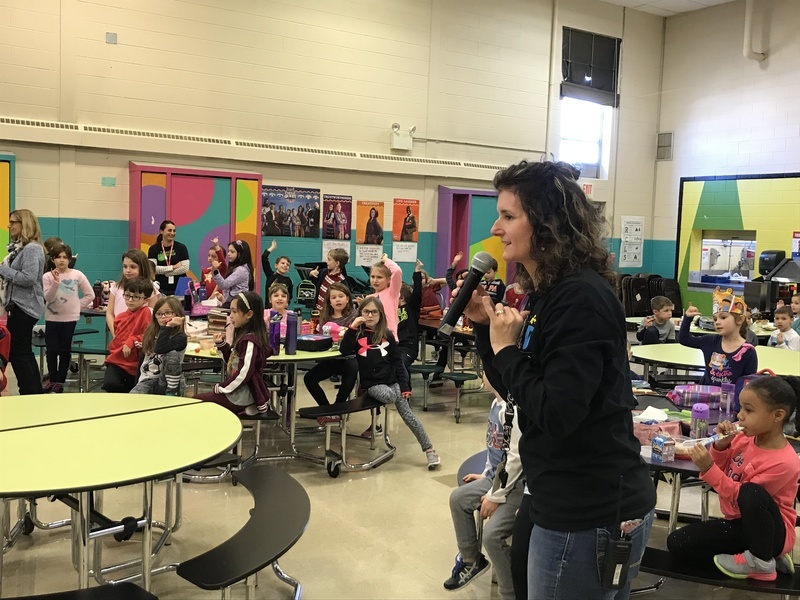 Mrs. Dorsey asks the crowd to guess the ingredients--such great guesses from all. Hmmm, I think I know two of the ingredients. 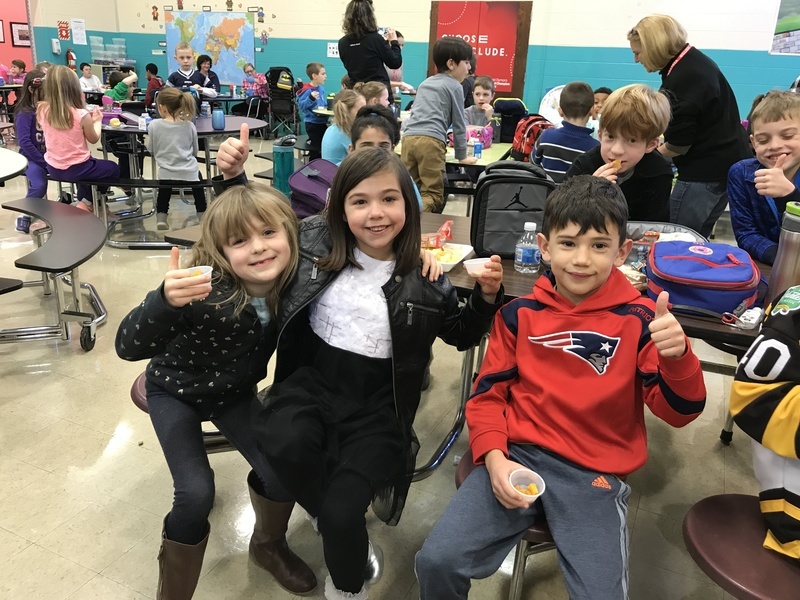 Thumbs up from these second graders! One kindergarten student closes his eyes so he can smell it to try and guess the ingredients. 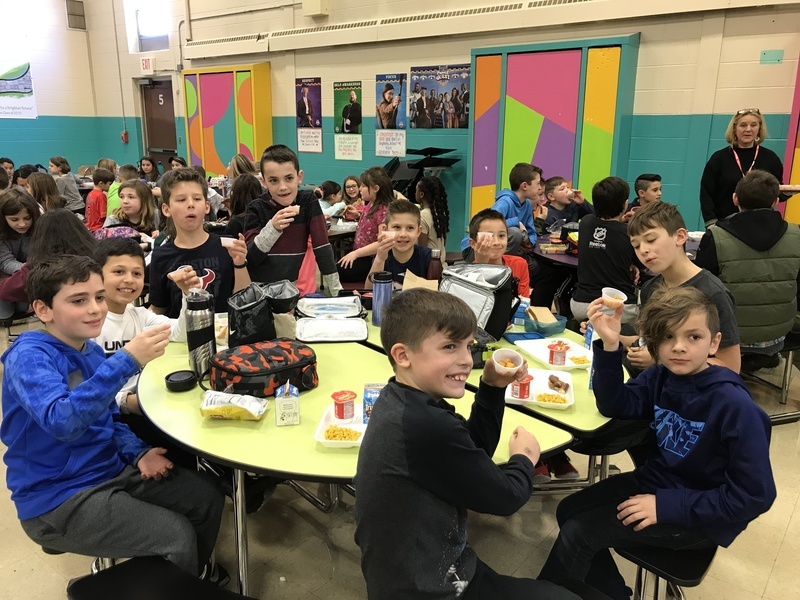 These first graders would love to try the new food! Thank you Chartwells, Farm Fresh RI and RI Healthy Schools Coalition! Recipe is for 50 servings!